Posted on August 27, 2015 by Randi G.
Dix Campbell was truly a remarkable man: kind, generous, intellectually curious, and committed to making things happen. It’s been one of the many privileges of my job as director of MABA to get to know him, and to work with him on a variety of projects over the past seven years. Dix loved learning about nature and art, and was tirelessly inquisitive. 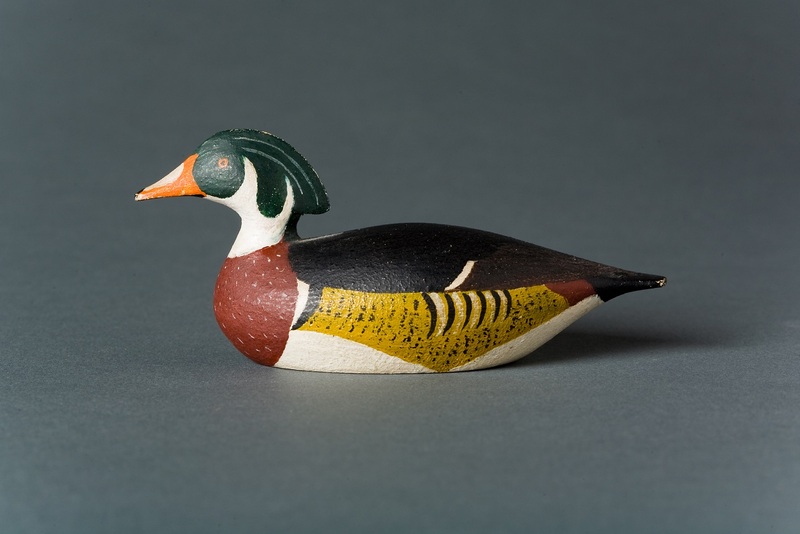 I remember how thrilled he was to discover that one of his shorebird decoys depicted an Eskimo Curlew—a once plentiful species that was devastated by market gunning and habitat loss in the late 19th century. To support his conclusion about this identification, he assembled an array of images comparing species, which he took great pleasure in showing me. For additional research on that same decoy, he pursued every clue to the identity of the carver, turning up many lines of inquiry but, unfortunately no firm evidence. I was surprised that the conflicting clues never seemed to discourage him. Instead, they deepened his fascination for the subject. His enthusiasm for MABA was ignited during his first visit to see the Elmer Crowell decoy exhibition in 2008. From that moment on, he never stopped spreading the word about MABA and proposing ways to increase awareness and support for the museum. He was full of ideas, and perhaps his most remarkable quality was his diligent commitment to bringing those ideas to life. 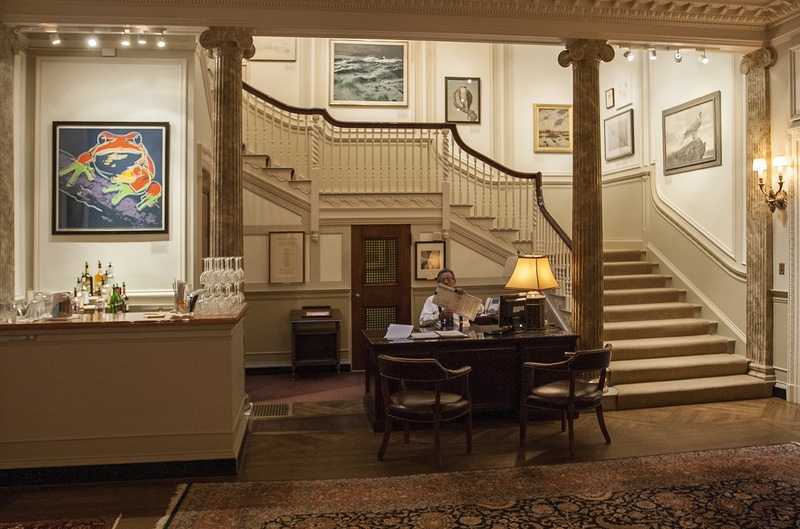 Exhibition of Mass Audubon’s collection at the St. Botolph Club in Boston, 2014. 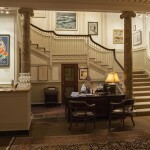 The most tangible example of a Dix Idea brought to life was the exhibition last fall at the St. Botolph Club in Boston, where Dix was a member. On view were 50 artworks from Mass Audubon’s collection, demonstrating four centuries of bird art from Audubon to Warhol and beyond. Dix conceived the idea for this exhibition soon after his first visit to MABA, and his efforts to make it happen spanned several years, requiring repeated discussions with members of the Club’s art committee. Despite delays and setbacks, he was convinced that the exhibition was a good idea, and ultimately, he convinced others, too. In the end, it was widely hailed as a great success, both for Mass Audubon and for the St. Botolph Club. Without his vision, his efforts to involve friends and colleagues, and his persistent belief in the initial idea, it would never have come to be. 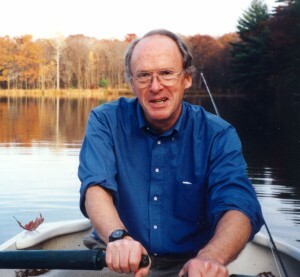 In addition to his devotion to MABA, Dix was a member of the Mass Audubon Council and a longtime supporter of his local Mass Audubon sanctuary, Habitat. He left an indelible mark on Mass Audubon, on MABA, and on the many people who were fortunate to connect with him over his passions for nature and art. 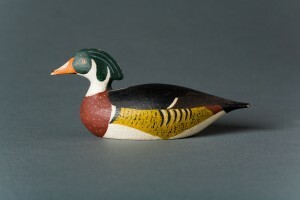 Wood Duck Drake by Joseph W. Lincoln, miniature, carved wood. Mass Audubon Collection, gift of Dix and Betsy Campbell, 2014. This entry was posted in News and tagged Dix Campbell on August 27, 2015 by Randi G..